It's been over a year since the Xbox One and the PlayStation 4 (PS4) launched and both systems have sold well worldwide. That appears to have changed in one of the biggest markets for both companies, the United States. Thanksgiving, with its associated sales of Black Friday and Cyber Monday, are some of the biggest days for retail in the country and it appears as if Microsoft has taken the lead in the US this Black Friday. According to a recent report, the Xbox One has sold more than enough units to dominate Black Friday sales in the US. Microsoft's console accounted for 53 percent of the consoles sold in the US on Black Friday versus the PS4's 31 percent, thanks to aggressive bundling and price drops. Last generation's Xbox 360 is in third place beating out Nintendo's current offering, the Wii U - and while 9 percent of console buyers went for the Xbox 360, only 1 percent bought the PlayStation 3. But while the Xbox One might be King in its own backyard, the console's sales in emerging markets like India tell a different story. The Xbox One launched here on September 22 and has been exclusive to Amazon India. Anshu Mor, Director - Interactive Business, India, earlier told NDTV Gadgets that the pre-order bookings of the Xbox One were "phenomenal". Since the actual launch of the console though, it has seen frequent price cuts - almost 20 percent off the MRP - a new bundle, and marketing efforts to boost sales. In spite of all this, the Xbox One has apparently not sold very well in India. One of the many quickfire discounts on the Xbox One in India. However, Mor refused to comment on the sales of the console, and would not reveal the number of consoles sold. He did not reply when asked if the sales were in keeping with the expectations Microsoft had for India. NDTV Gadgets presented Mor with the estimated sales numbers gathered from multiple sources, but Mor declined to comment. Sources amongst multiple distributors and retailers all independently confirmed that less than 1,500 units have been sold across the country, and that too only after rampant discounts and offers. We contacted Microsoft to verify these claims to which we received no comment. Sony on the other hand claims that the PS4 sold close to 4,500 units within two weeks of going on sale, and continues to sell well. Atindriya Bose, Sony Computer Entertainment's Country Manager for India said in an interview that the company is en route to selling 50,000 PS4s by the end of the current financial year - a milestone that took Sony three years with the PlayStation 3. And Sony has accomplished this without an official price drop or incentives. Both consoles are similarly priced, sporting an MRP of Rs. 39,990. 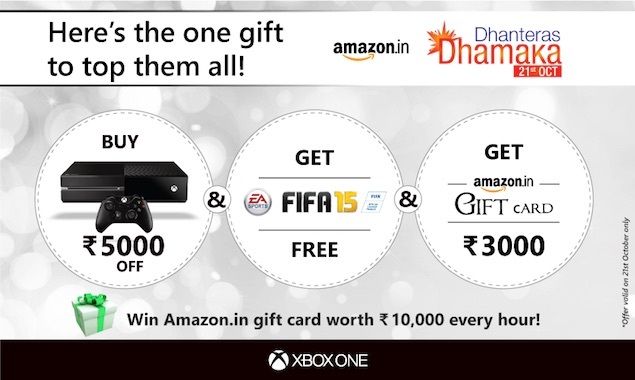 But with the Xbox One, you get a free game (FIFA 15) while the PS4 bundles start at Rs. 40,990. But perhaps the greatest indicator of how well the Xbox One is doing is Grand Theft Auto (GTA) V. Big franchises like GTA, Need For Speed, and FIFA all tend to do well in India, to the point where consoles are bought simply to play the game. We were at the midnight launch of the game in Mumbai at Games The Shop. While there was a huge crowd present to purchase it, very few bothered getting it on the Xbox One. We were told by the store's management that not more than five units of the game were available for the Xbox One, while 100 units were available for the PS4. And it's not just a problem at specialist game stores either because large format retailers such as Croma, Landmark, and Reliance Digital also are having problems moving Xbox One games. "If GTA V did badly, what chance do we have with other games on the Xbox One? ", said one buyer for a large format retailer who did not want to be named. It's the same scenario online as well. At the time of writing this, the Xbox One version of GTA V is 18th on Amazon's video game bestseller list. That's a far cry from the PS4 version, which is the second best seller on the site. 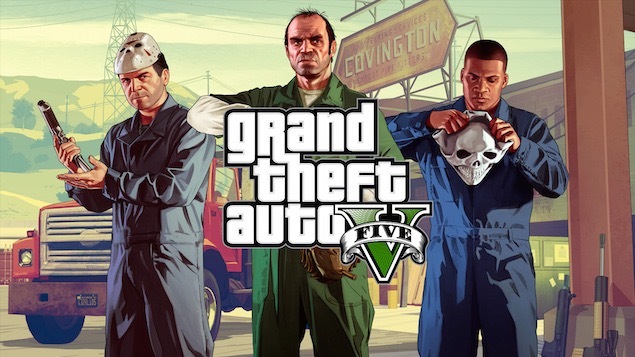 GTA V on the PS4 is actually the bestselling game on the site since the top item on the bestseller list is a Rs. 245 PC controller. Not everyone is convinced that the Xbox One is in trouble. NDTV Gadgets spoke to Vikram Sethi, the proprietor of Sangeet Electronics, a store that sells video games and other electronics products in Delhi's Rajouri Garden neighbourhood. In his store, you can buy officially distributed PlayStation 4 consoles with a warranty, or you can pick up imported Xbox One consoles - in his store, you can buy the Xbox One without a Kinect for Rs. 33,000. On Amazon, you'll get the same model (bundled with FIFA 15) for Rs. 37,990. 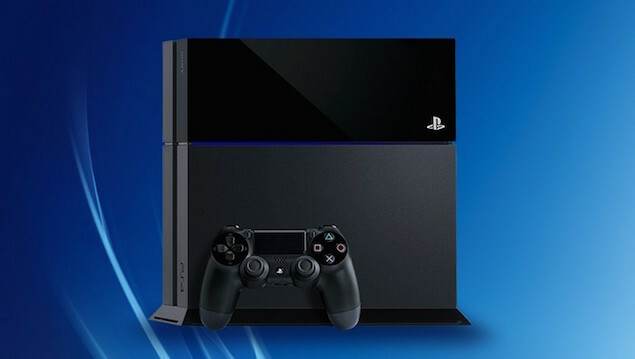 A PlayStation 4 will set you back by Rs. 38,000. "The warranty [Editor's note - We have translated what Sethi said from Hindi to English] is a problem, people worry about spending this much money without getting a warranty," he says. "Internationally, both consoles are doing well so people shouldn't worry about buying either - you'll get a good choice of games, and the price of games is similar too. But in India, Sony has been doing better - there is more demand for PS4 games." Nonetheless, the gap in demand between the two isn't impossible to bridge, Sethi says. "If you want to play Halo, if you want other Xbox-only games, then you don't have a choice," he says. "Once more games are readily available in India, the demand will also pick up. Sony has done a better job of putting their games in front of people in shops this time, but if you look at the previous generation too, you'll see plenty of ups and downs for both companies." With the Xbox One being exclusive to Amazon, there's a problem of perception that Microsoft has failed to combat. Many consumers who want to choose between the PS4 and Xbox One need to know there's a steady availability of games even with offline retailers before purchasing. Right now, a lot of them feel a disconnect, and people don't know if they'll only be able to buy games from Amazon only. "Last generation, I sold one Xbox 360 game for every two PS3 games. For the PS4 and Xbox One, it is 20:1 in favour of the PS4. The lack of consoles at offline retail make it tough to convince customers to pick up games," said a distributor. What this means is that distributors only import the bare minimum quantity of games. Those who have already bought the Xbox One might well find it difficult to find the games they want to buy, and may have to resort to ordering games from international sites, buying digitally or hoping that the grey market stocks the games they want. While Sony has had nearly a full year's headstart over the competition, Microsoft could still catch up. Retailers have been offered Xbox One kiosks to demo the console to prospective buyers. Interested customers can then place an order on Amazon India in-store itself with the retailer receiving a cut of the sale. How many partake of it however is another thing altogether. Around five to ten percent of the sale goes to the retailer and that too after a month from making the sale. Furthermore, the costs involved in running the kiosk as well as the amount of space it takes up makes it a no go for most stores given the high cost of shelf space. In addition to this, Microsoft has had some visibility on ground with kiosks at high profile events such as Comic Con Bangalore and TechEd. Further more, the company plans to use student partners to push sales in Amazon's direction. Well, if you're in the market for a new console and have no preference, you're better off waiting. But if you must have a console that is not the PS4, you should consider the deals available outside of Amazon India. Just one of the many deals for the Xbox One in the US. For the price of an Xbox One in India, the US gets the Xbox One Assassin's Creed bundle with Kinect, Halo: The Master Chief Collection, Diablo 3, Kinect Rivals, Alien: Isolation ,and Dragon Age: Inquisition. The situation in the grey market isn't too far behind with the console going as low as Rs. 27,000 with a game. In both cases though, you lose out on warranty. Games are expensive as well with most first party offerings like Halo and Sunset Overdrive priced at Rs. 4299. You could purchase digitally to take advantage of offers like the Spring Sale or the Games With Gold program but with AAA games being around 50GB each, it presents problems in terms of bandwidth and hard drive capacity. It's bad enough that Nintendo remains absent from India. 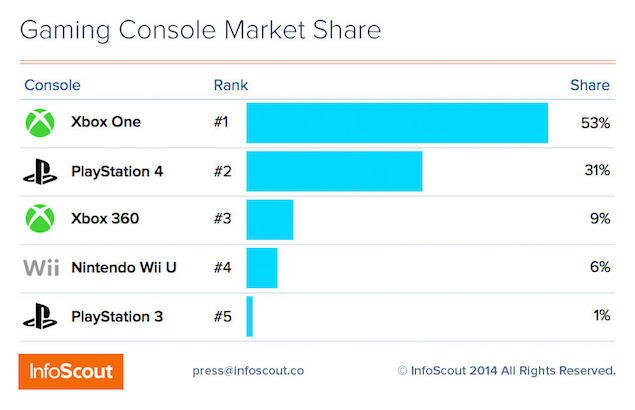 With confidence waning on the Xbox One, it's only a matter of time before India becomes a one console country. How Microsoft plan to approach this problem and replicate its American Black Friday success in markets like India remains to be seen.